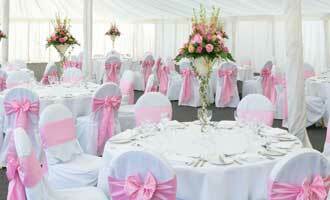 Welcome to our online quote and ordering page, here you can take the hassle out of calculating the cost of your hire. Simply fill in the quantity of the items you would like to hire, you will notice the total price will appear to the right once you 'tab out' of the box or go to the next item. You can also see a running total if you scroll to the bottom of the page including your wash up charge. Please note a minimum order value of £65 applies for deliveries, however you can collect items from our premises subject to a minimum hire value of £35, please call us to arrange this. PRINT – Here you can print a copy of your quotation / order. QUOTE - Here you can email yourself a copy of your quote, we will also retain a copy so you have the option to order at a later date. ORDER - Here you can order your items, once you have completed the form with some details we will check availability and come back to you with your booking. Please note a small transport charge will be applied.! If you have any queries please do not hesitate to call us! 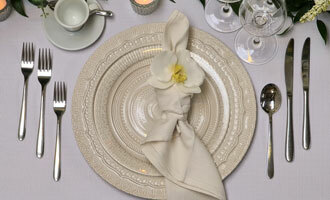 Our premier china is a robust off white china with a subtle decorative patterned edge. 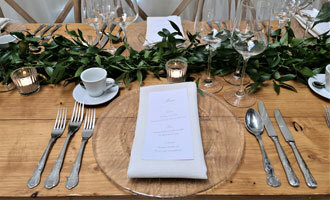 Our fine bone china is a modern plain white elegant china, ideal to set any function off with a touch of finesse. 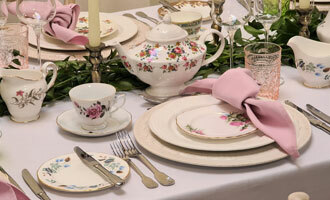 A great option for afternoon tea or informal functions, we have assembled a mix of colourful vintage china. 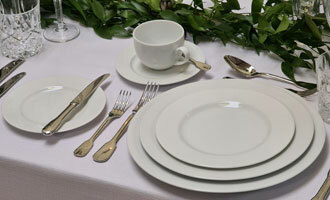 Our white porcelain china is a thicker range of china compared to our fine bone china below, which ensures durability. 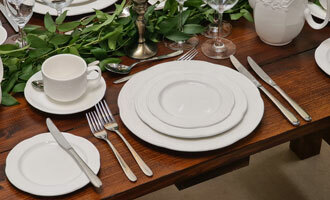 Our Classic king's pattern cutlery is an old English favourite with a regal look, very popular with our customers. A plain stainless steel cutlery fit for any occasion. For that extra special occasion our rat tail cutlery is perfect. A stylish, modern cutlery for that extra special occasion. 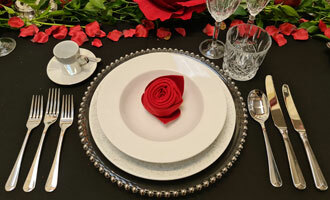 A new exciting addition to our cutlery range, giving a luxurious feel to your event, cutlery that makes a statement. Please note; due to the expensive nature of this product, gold cutlery can only be hired when a minimum of £250 worth of other hire items are ordered. Another new exciting addition to our cutlery range, giving a luxurious feel to your event, cutlery that makes a statement. Please note; due to the expensive nature of this product, rose gold cutlery can only be hired when a minimum of £250 worth of other hire items are ordered. 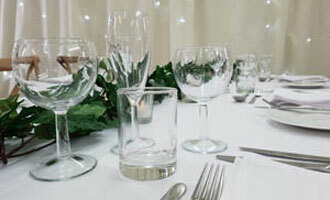 Our orchestra crystal cut glassware is ideal for intermit dinner parties. 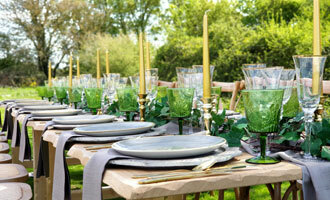 A stunning crystal glassware range with tall flutes and large wine glasses, glassware that makes an impact to your table. 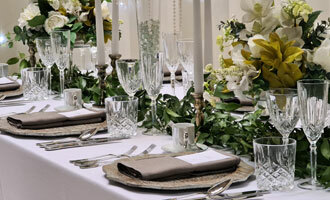 Made from tritan crystal this glassware will add touch of elegance to your event! 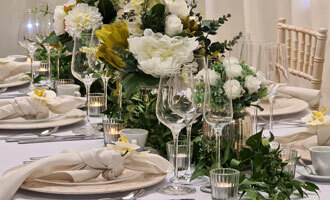 Our most popular glassware range is ideal for weddings and celebrations, giving your function the sparkle it deserves! 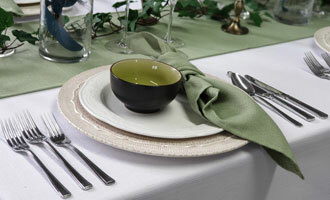 We have a variety of specialist coloured glassware for you, this really can transform the look of your function. 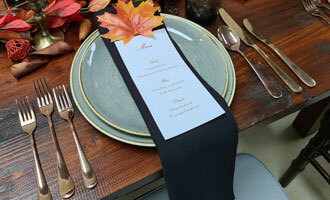 A great option for informal gatherings or large crowds. 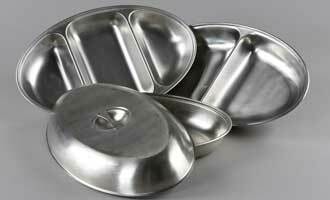 A large section of stainless steel serving options for your event. 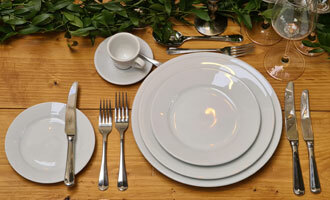 Here you will find many useful serving items. 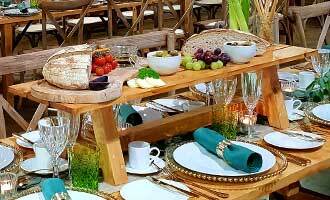 We have assembled a large range of furniture for your function which we have separated into 4 categories. 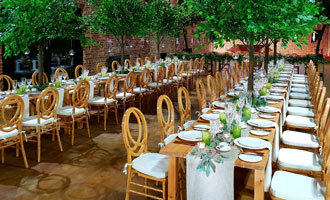 If you select Banqueting, Chivari, Phoenix or Cross back chairs, remember to choose your seat pad! Confused about linen sizes? 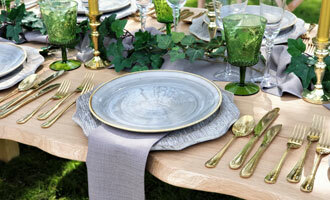 Please see our linen guide. If you would like a sample of linen, head to the contact page to let us know and we will send you a sample in the post! If you would like a professional set up service please pop us an email on: service@banquetinghire.co.uk You maybe surprised with how reasonable our professional set up service is!! P,s All our sashes look great on our Chivari chairs, please head to the range to see examples of how we can tie these for you! 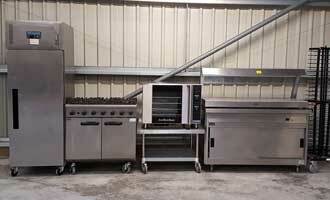 All our kitchen equipment is PAT tested prior to delivery and tested on site to ensure reliability. 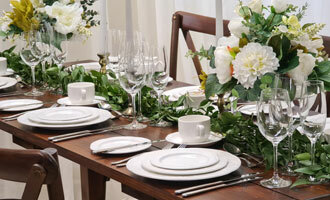 Modern and classic table centres finish the overall look of your event. 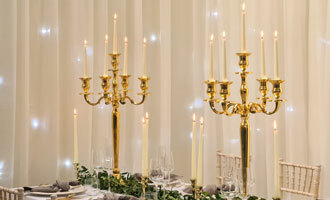 Candle holders include coloured candles in ivory, white, red, green, gold, pink, black or blue. 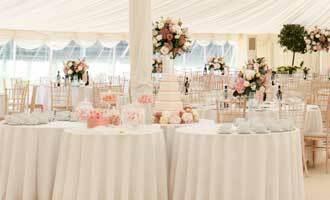 Martine sets, lit vases and fish bowls have a choice of gel or crushed ice. Our Dance floors can come in many sizes, below are some sample prices but please call us for prices on other shapes & sizes. 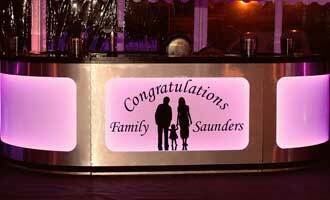 Please see our range section for more details on our lit bars. Please note ALL hire companies have transport charges! 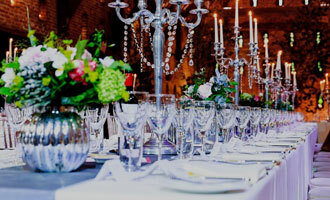 We are unable to cost this small fee on your quote as each venue is unique. Click here to contact us for a delivery cost quote. Click here to email this quote to yourself, friends and family!